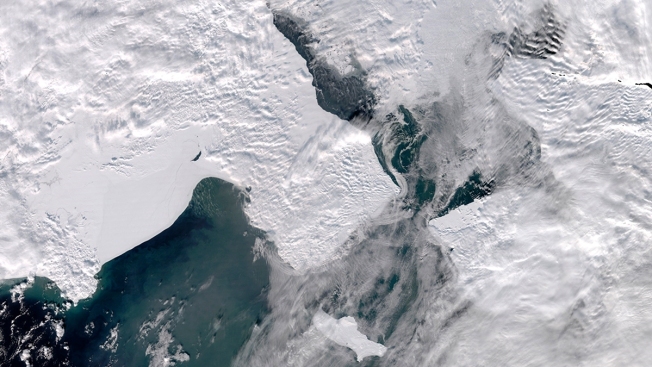 A satellite photo provided by the University of Alaska Fairbanks' Geographic Information Network of Alaska shows clouds partially covering open water in the northern Bering Sea, the Bering Strait and the Chukchi Sea on Monday, March 4, 2019. St. Lawrence Island is in the foreground. Warm winds in mid-February melted or blew off much of the sea ice in the northern Bering Sea, a region historically covered by sea ice throughout the winter.